Right, so let’s get started! 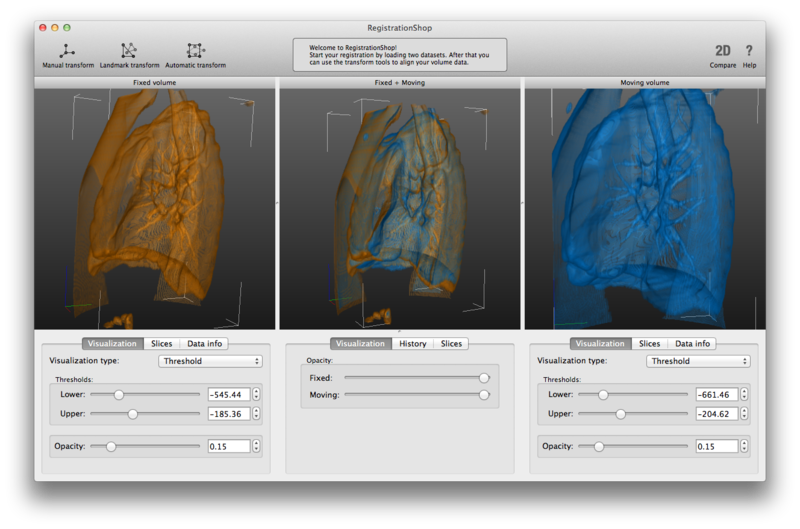 Berend Klein-Haneveld presented “RegistrationShop – an interactive 3D medical volume registration tool”. In his work he developed RegistrationShop as a tool that aims to make the complex process of 3D volume registration easier by providing simple interaction techniques and real-time visual feedback of the current registration results. Users are able to place landmarks in 3D either by surface picking or by tracing a ray through the volume until the desired location is reached. During the registration process they are provided with visualizations of both the moving and fixed volumes as well as the current registration result in a combined view. Cees-Willem Hofstede presented “The Online Anatomical Human – an online browser and annotation system for real human anatomy”. 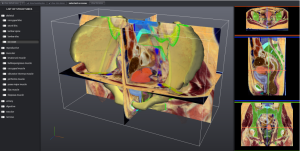 He worked on bringing anatomical education to a web browser, by creating an online environment in which a 3D anatomical model of the pelvis is linked to 2D medical imaging data. Users are able to annotate structures directly on the 3D mesh using landmark, brush and line tools and can enrich the model with their annotations. You don’t need to tell me how awesome anatomical research is, but I read this cool article on how anatomical science is undergoing a revival. If there is anything I have learnt in working with anatomical researchers during my PhD project, it is that human anatomy is not a fully explored known thing. There are still many exciting new discoveries to be made in the field. Also, the consequences of lacking anatomical knowledge can be disastrous for surgical outcome. 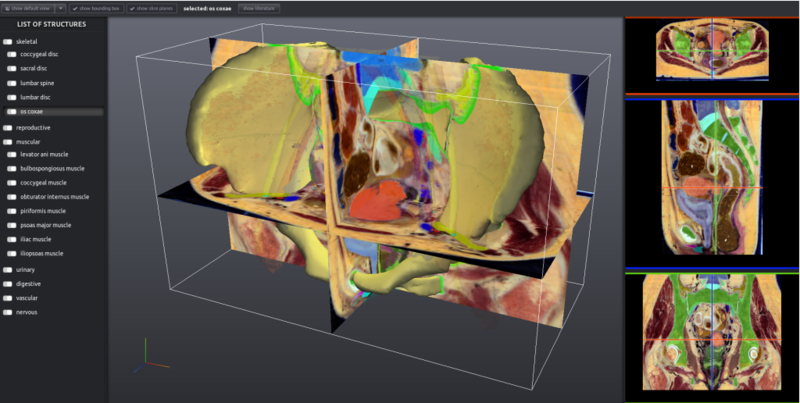 This combined with medical imaging and visualization techniques makes for a very exciting area of scientific research. Do you know what sounds baby sloths make? Neither did I, but wow, am I glad I found out! Meh! Eh!